As the Focus strategy took shape, Executives struck on an imaginative way to improve the image of their fashions. This targeted both children and parents. Stores had stocked goods made by Pasolds, the Ladybird company, since the 1930s, but the Buyers had always opted to sell them unbranded. 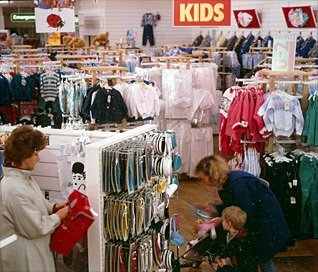 But after 1985 the stores carried only Ladybird lines, manufactured under the supplier's supervision to strict quality standards. They became the exclusive stockist across the UK. Many parents remembered Ladybird as being the gold standard for kids clothes during their own childhoods - albeit in very conservative designs. 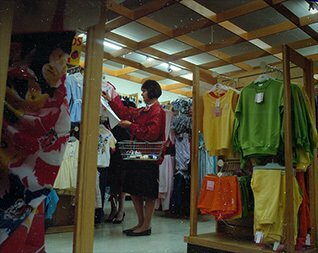 They were impressed by Woolworth's modern twist, combining the latest styles and designs with the robust, double-stitched quality standards that made Ladybird Clothes so durable. Doubters were reassured by a money back guarantee. 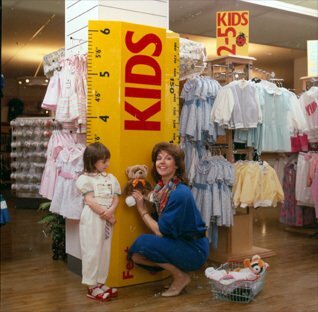 By the end of the decade the stores had built an enviable market share, as the leader in clothes for the under-fives, and running second to M&S for childrenswear overall. Licensing the brand had been a big success, which was later to outlive the stores themselves. During 1985 executives launched trials to test potential of a new licencing deal for the Ladybird brand. A pilot was launched in the large superstore in Broad Street, Reading, Berkshire, and in the smaller Cornerstone city centre stores at Maidenhead, Orpington and Bedford. Soon it was clear that Ladybird was a winner! 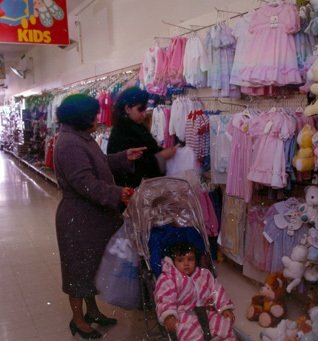 The license was duly signed and it was agreed that every store would carry Kidswear and every item would be Ladybird. Coats Viyella provided expertise in quality control as well as design ideas. They were given decision-making authority to approve garment designs. They also trained and accredited factories, and had the final say on the PR and advertising for the launch. Woolworth Buyers developed product proposals for the licensor to approve. They also negotiated the supply terms, picking from a growing list of quality-approved factories. The new range launched nationally in the Autumn of 1985. In preparation for the big day a member of staff from each store went on a display course. 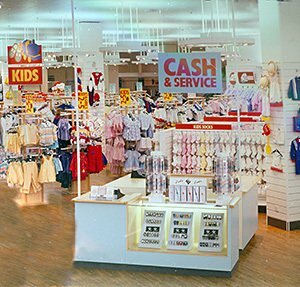 A handful of branches, including the large store at Gallowtree Gate, Leicester, pioneered new lighting, flooring and wooden 'Clothing Tower' fixtures. The most popular item in the initial range was a traditional Ladybird Dressing Gown. There were versions for both boys and girls, in a choice of royal blue or bright red. These had Ladybird-shaped buttons and were piped with braided lapels. Many parents had worn the same design as children. Like many of the items in the first Woolworths range, the Dressing Gowns were British-made. The supplier was Coonen Textiles Ltd., whose factory was in Fivemiletown, County Tyrone, Northern Ireland. 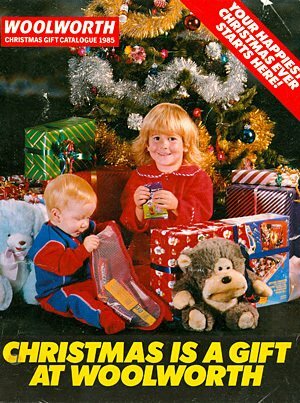 The Dressing Gown was modelled on the front cover and in a centre-spread of the 1985 Christmas Catalogue. The large city-centre store at St. Albans, Hertfordshire, proved a good testing ground. Its layout was enhanced with new lighting and wooden tower fixtures to display the clothes. Both the range and the environment proved very popular with shoppers. Displays in the smaller Woolworths General Store were distinctly different. Most of the garments were displayed face-on, hanging from new. tiered crocodile arms. The layout employed pine counters with an outrigger at each end, and had a wooden lattice frame in the ceiling. The aim was to create a more welcoming environment. Ladybird marked a move up-market. The clothes made good on the advertising strapline "comfortably the best quality clothing in town". 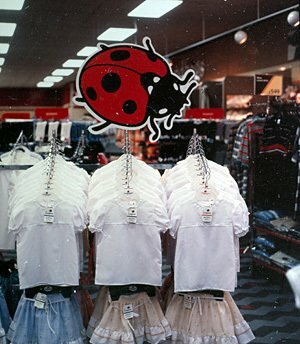 Ladybird was launched before many of the stores were modernised. Older branches had to improvise. They used traditional fixtures like metal bars and crocodile arms to project displays from their cream-coloured counters, or used hooks to display items from their pegboard panels. Despite the constraints, customers quickly recognised the improvement in the quality of the merchandise, and the new pride of the staff. One-by-one the stores were updated, enhancing the displays. By 1988 every branch was able to show display the garments face-on. 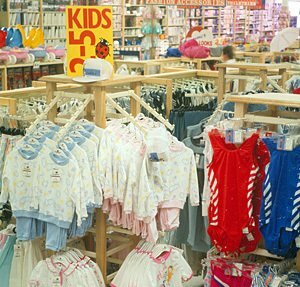 The team at Coats Viyella was particularly excited by news that Woolworths planned to advertise Ladybird Clothing on television for the first time. The Pasold family had always wanted to see the brand on ITV, but considered this unviable without a national store-base. Instead they had persevered with small block advertisements in local papers. Brand gurus from Coats Viyella, Woolworths and the Advertising Agency, Bates Dorland, collaborated on the storyboards. They opted for an elegant ad in which adults tried vainly to fit into the 'exclusive' garments, before finding that the clothes were 'exclusive to Children' ... 'and to Woolworths'. The commercial achieved good ratings and generated a substantial increase in store traffic. 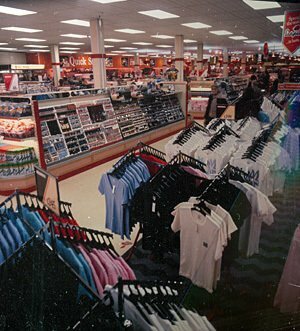 By 1990 customers had become used to seeing Ladybird in their local Woolies. A progressive programme of store upgrades helped to maintain sales momentum. In parallel the Buying Team became more adventurous with their product selections. Gradually the more formal clothes were supplemented by topical character designs linked to the latest movie releases. These balanced traditional quality and competitive prices for garments that children wanted to wear. A decade later, in December 2000, Coats Viyella invited Woolworths to buy the Ladybird brand name outright for £16.5m.